With an ACLEDA Bank Lao's Personal Loan, you'll get the most out of life! 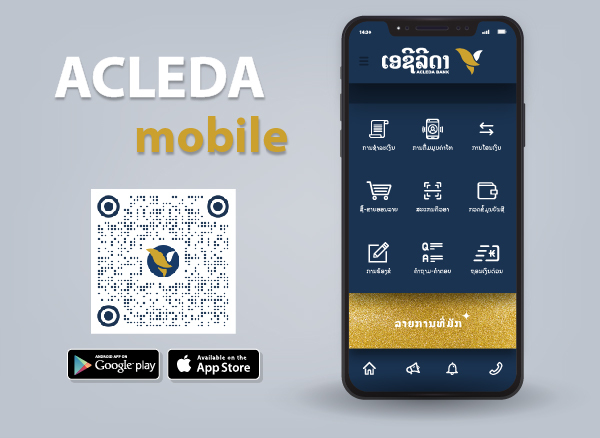 When you love life and simply want to live it up, ACLEDA Bank Lao has just the solution for you to get down on it. Loan size up to under to LAK100,000,000, USD10,000 and THB400,000 for the things that add more zest to your life — a new vehicle, the stylish hi-fi set you've been eyeing for months, or the sofa you simply must have. Anything your heart desires. Our staff will help you to fill in a loan application form which is available for free at any offices of ACLEDA Bank Lao. Please contact our nearest branch for confirmation.